Stanford leapfrogs the Huskies after its convincing victory over USC. 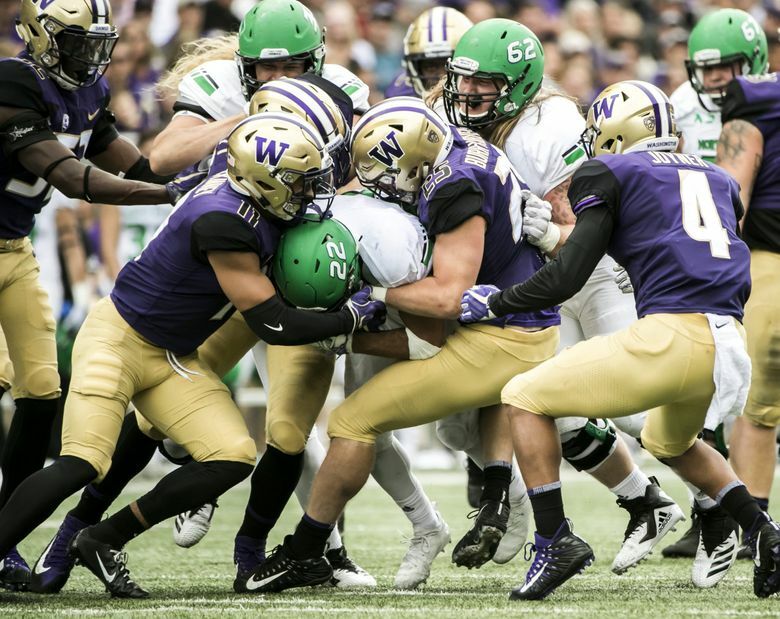 A day after their 45-3 rout of lower-division North Dakota in their home opener, the Washington Huskies dropped one spot to No. 10 in The Associated Press Top 25 poll released Sunday morning. Stanford leapfrogged the Huskies after its convincing victory over USC on Saturday night. Washington (1-1) begins Pac-12 play at Utah on Saturday night. That is set for a 7 p.m. kickoff on ESPN. The Utes (2-0) received 92 votes from AP voters this week, leaving them just outside of the Top 25 (essentially putting them at No. 26). A complete breakdown of AP voters’ ballots can be found at collegepolltracker.com.